It turned out he was right. Just like regular oil changes, a professional roof inspection is actually essential to the life of your roof. The reason an oil change is a determining factor for the life of your car is that it is a piece of basic maintenance. Someone is physically opening up your car to look inside in order to change the oil. Not only does the oil get changed, which is essential for your car’s longevity, but experienced eyes can find the problems you won’t know about until you have noticeable sounds or a breakdown on the highway. 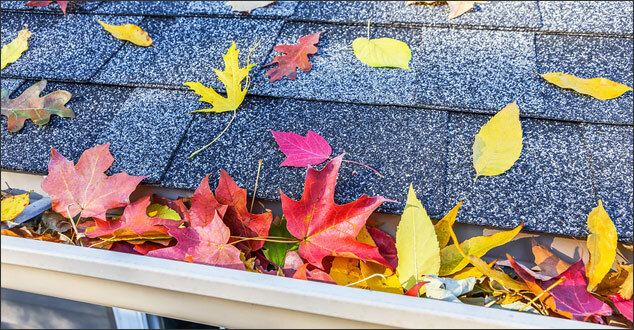 Cleaning debris off your roof like fallen limbs, leaves, acorns, etc. The second thing a roof inspection does for you is that it gives you an idea of the condition of your roof. Just like with an oil change, the inspection can tell you how soon you can expect to need to make repairs. Conditions like buckling or weathered shingles or suspected leaks are small fixes and easy on the budget, compared to large leaks that create mold in your home or soaked insulation. In addition, it gives you a chance to check out the life left in your materials from year to year. Here in Michigan, the weather conditions vary greatly from season to season and year to year. The weathering of your shingles, flashing, fascia, decking, etcetera are greatly affected by the extremes we experience in this climate. A professional roof inspection can give you additional insight of what to expect as far as life expectancy of your roofing system. The third and often overlooked reason to start getting roof inspections (if you haven’t already) is that you will have more information upon which to base your budget for your roof. No one likes to have to fork over $400 for an unexpected car repair. Most car owners set aside money for those eventualities. Even better, they pay attention to what their tune-ups tell them and replace belts and brake pads in a timely fashion. Your roof is no different. The worst is an unexpected leak resulting in thousands of dollars worth of damage. In addition, if you have a regular picture of how your roof is performing, you will know – year in and year out – how to financially plan for fixes or a new roof, eventually. A professional roof inspection is not just a good idea for the essential maintenance of your roof and happiness of your budgeting. Getting an annual roof inspection just might be the best thing you ever did. If you live in Southeast Michigan, give us a call. We would be honored to help.